If you want 'Remote Start' and/or 'Vehicle Security': In addition to a DroneMobile Module, you will also need to install an aftermarket remote start/security system to your vehicle. While we recommend that you contact your local retailer to confirm the compatibility of your specific make/model/year, here is a general guide on what vehicles are compatible. European Makes (e.g. BMW, VW, Audi) - Limited Coverage, check with your local retailer. If you only want 'GPS Tracking': If you are simply looking for a vehicle tracking or driver monitoring solution for your vehicles/family, then DroneMobile will work with 100% of vehicles. This is because for tracking-only applications, the DroneMobile Module does not need to interface with any of your vehicle's internal components. 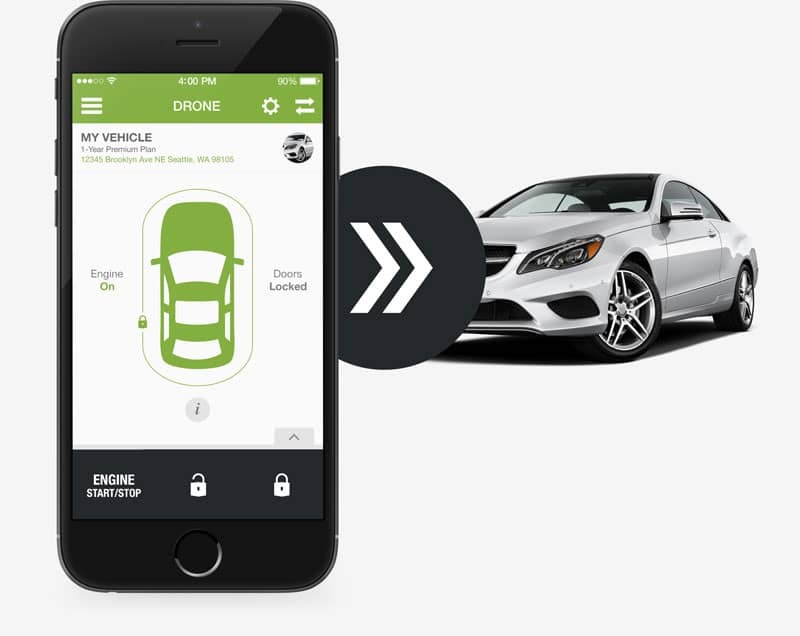 All of the tracking and monitoring capabilities are built-in to the DroneMobile module itself. Find an Authorized Retailer Today!